The knowledge of personal factors that influence career decision-making and ability to intentionally explore and develop your career. How career-ready are you? 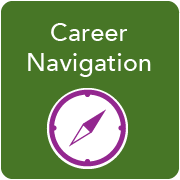 Choose the Career Navigation level that best describes you. To progress through the levels, select the action steps that seem most appealing and useful to you. Complete as many as you’d like and consider repeating any that you found particularly helpful. Before you know it, you’ll stand out and be ready for your next career step. I am aware of the importance of reflection and self-awareness in the decision-making process but feel unsure about my own values, interests, personality, and strengths. I’m not sure what my own unique career path will look like. I can identify some occupations and industries I’m interested in exploring. I can talk about my strengths and interests but I’m unsure how to apply that to my career decisions. I know how to gather information that will help me learn more about myself and career paths I’m interested in. I regularly seek out opportunities to engage in self-reflection and research or “test out” careers I’m considering. I feel confident about using my self-knowledge and knowledge of occupations and industries to make informed career decisions. I understand how my unique personal brand contributes to the workplace, while appreciating other's diverse and unique values, interests, strengths, personalities, and backgrounds.
" Developing Career Navigation skills in college will prepare students for long term career growth down the road whether they realize it or not. " 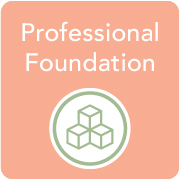 Meet with a Career Counselor to discuss your values, interests, personality and strengths (we call them your “VIPS”). Talk about how your personal qualities and preferences connect to career possibilities. Join a professional or academic club, volunteer for an organization you believe in, or obtain an internship. Let your values and interests guide your decision about how you want to spend your time. Check out online resources to gain more knowledge about majors and careers you are curious about. Start with our Student Resource Toolkit. Get involved in activities that allow you to learn more about yourself, what you like, and what’s important to you. Interested in mental health? Become a peer health educator with PULSE. Passionate about building an inclusive campus? Get involved with Cal Poly’s Cross Cultural Centers. Talk to professors, alumni, peers, and industry professionals in various fields to learn from their experience. Think about how their paths relate (or don’t relate) to your own career exploration journey. 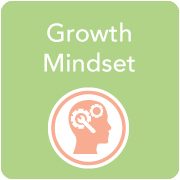 Take a self-assessment to explore your strengths, values, personality and/or interests. We offer Focus-2 which you can take on your own. 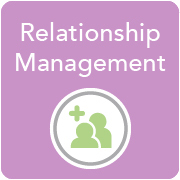 Meet with your career counselor to explore other assessment options. Attend events that will increase your knowledge of employers and industries you are considering. Examples include career fairs, networking sessions and employer treks.